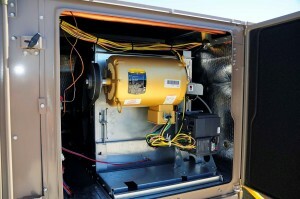 For starters, your HVAC contractor should be licensed, bonded and insured. Industry certifications such as ACCA and NATE can be good indicators of a contractor’s credentials. Ask for and check references and reviews. Satisfied and dissatisfied customers speak volumes about the quality and professionalism of an HVAC contractor. Check for positive ratings with rating agencies. Find out if the HVAC contractor offers contracts for ongoing service/maintenance or repairs. Lastly, contractors who have undergone extensive factory training and have been certified by those manufacturers will hold elite level badges. They are held to a higher standard in terms of HVAC knowledge, professionalism and respect for your property. They maintain a commitment to industry best practices. They offer a flexible and informative approach to the purchase or service decision and can be depended upon for both timeliness and top-quality work. 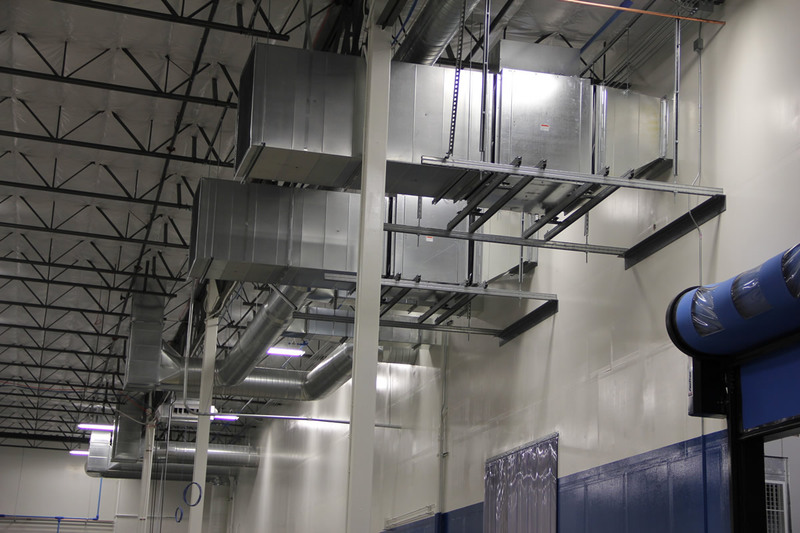 These days, your HVAC system is likely one of the most technologically complex pieces of machinery in or around your work place, not to mention a considerable capital investment. You want a well-trained and qualified HVAC professional installing, servicing or repairing it. What’s more, there are safety concerns when working with heating and cooling systems that utilize electricity, natural gas and toxic refrigerants in their operation. We care about you and your needs. Our technicians will use their Customer Care Kit (CCK) to protect your work place during your repair or installation. The CCK consists of crawl suits (for working in attics or crawl spaces), disposable booties, cloth tarps to protect floors, plastic barrier walls with zippers to protect furniture, computer and office equipment, and heavy duty mats to protect carpet and walkways. Our highly trained staff and crew were selected for their dedication to customer satisfaction, positive attitude and industry knowledge. Our clients range from pre-schools, churches, clean rooms and apartment buildings to offices and warehouses. All of our employees have undergone extensive training. Every member of our staff is friendly, knowledgeable and responsive. Your 100% satisfaction is our goal. When one of our customer service representatives answers the phone or responds to your email, you should be able to hear the smile in the representative’s voice or in the tone of the email. Thank you for choosing us! The service associate will introduce his or herself, thank you for calling and then ask what he or she can do to help you. When arranging appointments, we will provide detailed information related to the procedures and timelines associated with your service. Our employees will demonstrate a thorough and accurate knowledge of all services offered and provide prompt and courteous service. We understand that your life is being disrupted by the lack of comfort you are experiencing because your heating or cooling system isn’t working as expected so we will do our best to repair or replace your unit as quickly as possible so you can get on with your life! Our HVAC technicians are specially trained to install, repair and maintain HVAC systems of any type, size or brand. Our philosophy, which has been ingrained throughout the company from 60+ years of technical expertise and sustained excellence, has built a culture of education and trust that has enabled our customers to make informed decisions about heating, cooling and air quality systems. 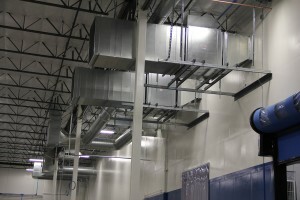 As much as half of the energy used in your building goes to heating and cooling. Making smart decisions about your building’s heating, ventilating and air conditioning (HVAC) system can have a big effect on your employee’s productivity, utility bills and comfort. Our role is to diagnose and then advise you on the best options available to you. We recognize that every situation is different. We will provide you with the information you need so you can make the best, most informed decision for you and your budget. Your 100% satisfaction is our goal. If you choose us, we will maintain a file with your complete service records so we will know what type of equipment you have and when it was last serviced. This will save time and expense when your equipment needs to be serviced again! An email with a photo of our technician will be sent prior to the appointment. Our technician will have clean hands and boots and will wear a collared shirt with his name and the Select Mechanical company logo. He will arrive at the appointed time. He will greet you by identifying himself with his full name and our company name. He will be respectful and courteous. He will then confirm the plan for the service and an estimate of the amount of time he will need to complete the service. Before he enters your building, he will don boot covers. Before he starts working, he will place tarps to protect floors. He will also erect plastic barrier walls to cover furniture, office equipment and anything else exposed in the work area. His goal is always for minimal impact and disruption while performing the service and/or maintenance. If it appears that your furnace or air conditioner is near to, or has reached the end of its useful life, and before making any costly repairs to equipment that might be getting to the end of its intended life, our technician will take as much time as you need to explain every option. We want you to feel educated and fully informed. We live and breathe HVAC every day and understand that you may only have to make decisions about your HVAC system a couple of times in your life. So, our technician will provide you with the information you need to make the best, most informed decision for your comfort, situation and budget. We guarantee 100% customer satisfaction. Our technician will thoroughly clean the work site and all areas he visited. He will return furniture and fixtures to their pre-service state. He will then explain what was done and what is next, if anything. He will then thank you and ask for a review. He will then leave promptly. We understand that you want to get back to your day. No matter how terrific we have been (and we expect to be terrific! ), we understand that this has been a disruption to your life and you will want to get back to it ASAP. We will always be respectful of your time.